In the wake of the 2019 elections, Nigerianflightdeck feels there are areas where the administration of President Muhammadu Buhari must focus on in other to further develop the aviation sub-sector, having been given the opportunity to continue his stewardship of the country and drive its affairs another four years. FOR weeks, government has been on shutdown owing to the presidential and National Assembly elections and with that done and dusted with candidates emerging, it is of utmost importance to set agendas for the government especially in key areas like the dynamic air transport sector. Truth is, in the aviation sub sector, a lot has changed over a period of time with a lot of highs. However, it is important that momentum is kept to ensure seamless development of an industry yearning to play in the big leagues. 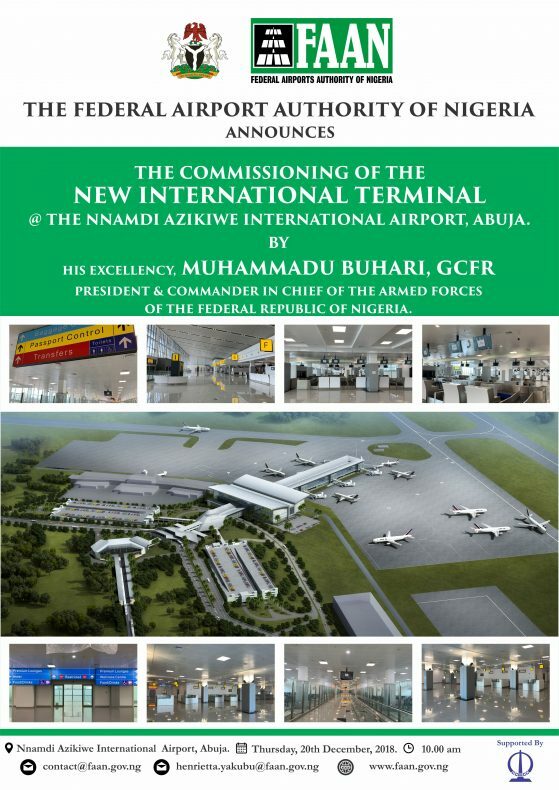 Already, President Buhari in October and December respectively, has commissioned the 7 million passenger capacity Port Harcourt Internationally Airport Terminal, Omagwa and the 15 million Nnamdi Azikiwe International Airport. It is expected that this administration hastens works on the 15 million passenger capacity Murtala Muhammed International Airport, Lagos and the 5 million passenger capacity Mallam Aminu Kano International Airport, Lagos to get those airport terminals running as fast as possible, especially the MMIA; so operations can shift and proper maintenance can take place in the original terminal as is happening in Port Harcourt. 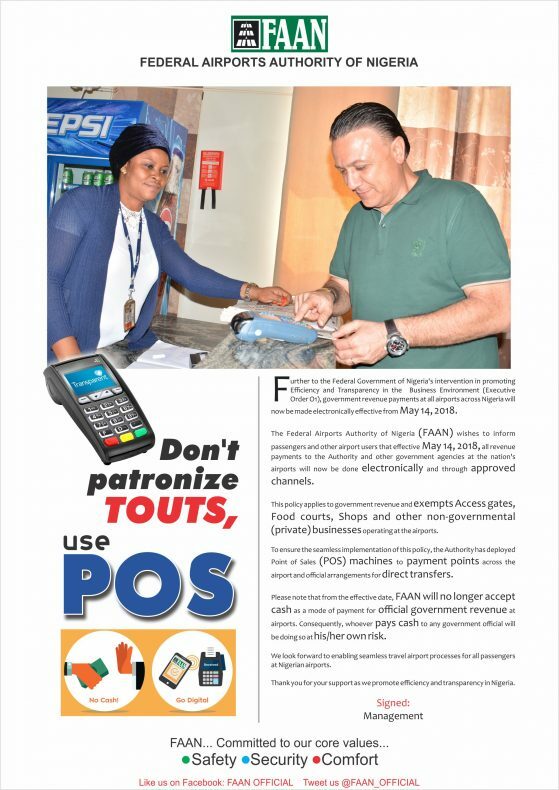 With these terminals up and operational in no distant time, it would not only change the negative narratives which the previously commissioned are already doing but would attract more operations that refused to come in because of capacity. Another thing that must be looked at by the administration, is the completion of payment of severance benefits of ex-workers of the now defunct Nigeria Airways. After liquidation by former president Olusegun Obasanjo, in 2003, the former workers of the airline were left in the doldrums, forgotten and were consistently crying out but in 2007 reprieve came their way after late former President, Umar Yar’adua paid some of their benefits. Fourteen (14) years on, this administration in December paid N22.5billion (50 per cent ) of 5, 966 former workers’ severance benefits with a promise to complete the payment in 6 months having put it in the budget. Having gone through grueling hardship all through the years, and received half of the severance was enough morale booster for them to rise up in support of this government and so government must ensure it is true to its words and ensure completion of their remaining payment. Then there is the plan to revisit the setting up of another national carrier for the country. If plans are still in the works to midwife Nigeria Air into existence after the setback suffered on September 19, 2018, government needs to ensure it follows through with the idea with less complicated scenarios. Government through Minister of State, Senator Hadi Sirika had promised to berth Nigeria Air in December 24, 2018 but was unable to after the Federal Executive Council announced the project’s suspension. As it stands now, if it must continue, FG needs to look around and feel the pulse of the people, provide for them physical things that can be believed in, while taking leave from Ibom Air that got its AOC less than six months and has acquired three aircraft already to commence operations. The plan may not be intended to start at that scale but an airline has to commence from somewhere for people to believe in the vision of the new national carrier and dissuade minds off the Farnborough Air Show scenario. A 2015 study shows that tourism contributes between 8-10 percent of the GDP of economies globally stating that it had benefited local regions on poverty alleviation. In Nigeria however, a myriad of factors stunt tourism’s contribution to the GDP and some stakeholders feel one of those factors is due to the lack of a national carrier. They feel, tourism can develop through aviation and vice versa, given that Nigeria has multiple destinations and not a transit point like some countries. Government needs to develop its tourism and it can do that fastest through aviation as destinations like Bauchi, Jos, Cross River and with good incentives to airlines these areas can be opened up. Some in particular, feel setting up a national carrier will not only attract inbound travel for people to spend foreign exchange and would help Nigeria challenge part of the 80% African market been controlled by foreign airlines. Also there has always been the call to support domestic airlines in the country to enable them help reduce capital flight the nation suffers on travel because there are no carriers competing with the foreign airlines that cart away hundreds of thousands of passengers from the country’s vibrant market daily. One of the domestic operators in recent time, Air Peace, had asked for equal treatment, and for government to step in for them with regards aero-politics to help smoothen the processes for them to commence flights into some international destinations. Also, stakeholders feel, in terms of encouragement government must hasten to ensure a ‘Fly Nigeria Act’ is instituted to reduce the nation’s capital flight. They posit that if government can sign the act to ensure that officials will not fly foreign carriers anywhere a Nigerian airline operates, would help the country retain some of the monies it expends on foreign airlines in the country. Then there is the area of infrastructure development. In the aviation industry, a lot has happened in terms of procurement and installation of NAVAIDS and this is commendable, however, a lot of airlines feel it’s time government creates capacity to encourage night flights to ensure airlines optimize their equipment. Stakeholders also feel it is pertinent that Air field lighting be installed at the 18L Runway/36L at the Murtala Muhammed Airport, so airlines can will save funds from landing at the 18R/36R international Runway and taxi to the local Runway burning gallons of jet A1(aviation fuel) which comes at an astronomical rate. According to them, the alacrity used to reconstruct the Abuja Airport Runway and isolated repair of the taxiway and apron be used to install lighting at the MMA to reduce burden on airlines.